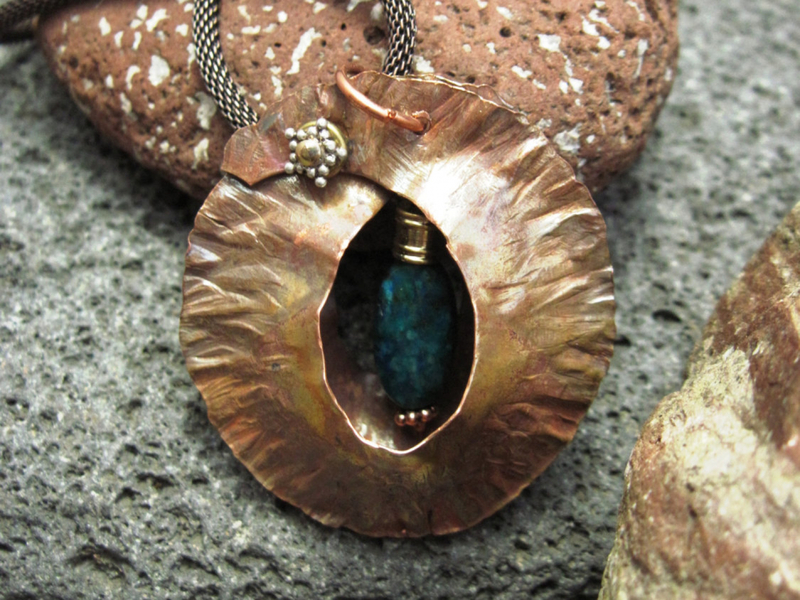 Tribal copper foldform pendant has a gemstone bead dangling inside. 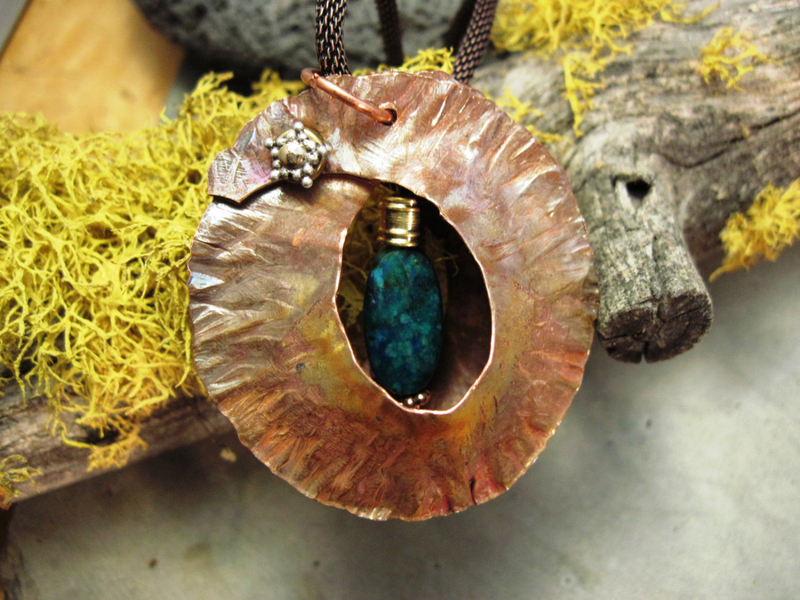 This piece of forged jewelry has a wonderful heat patina in blues and greens. 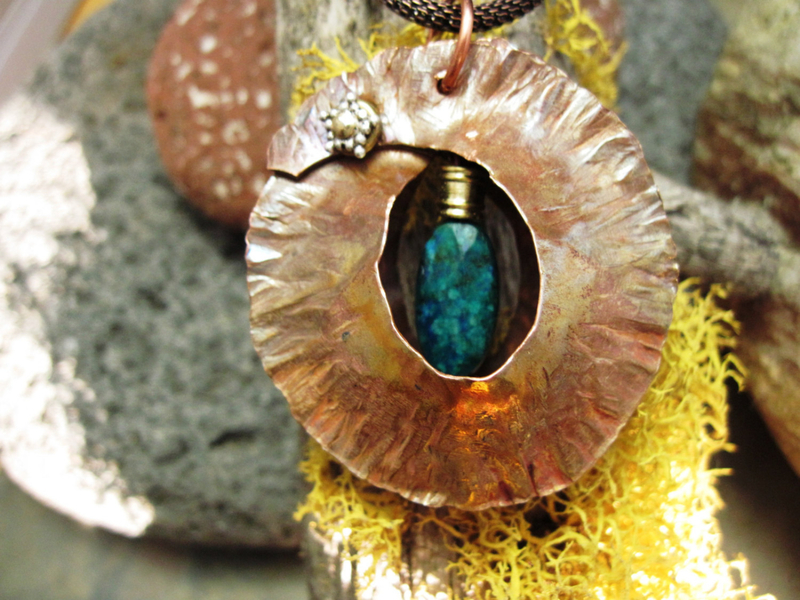 Azurite with malachite helps open the energies of the heart so they can be expressed verbally. The copper acts as a conductor of this energy. 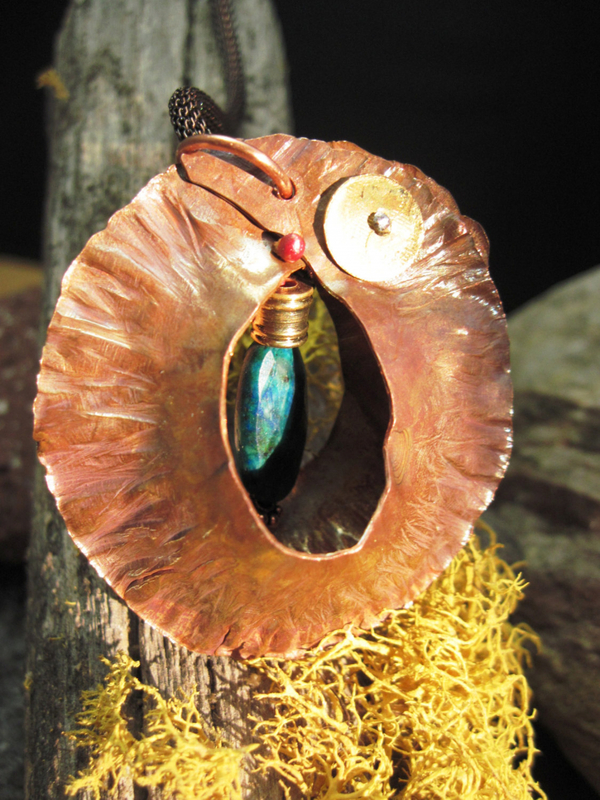 The pendant is about two inches in diameter. The forged pendant is cold connected with a rivet. There is a sterling star spacer and brass spacer below the rivet. The last picture shows the back of the pendant. 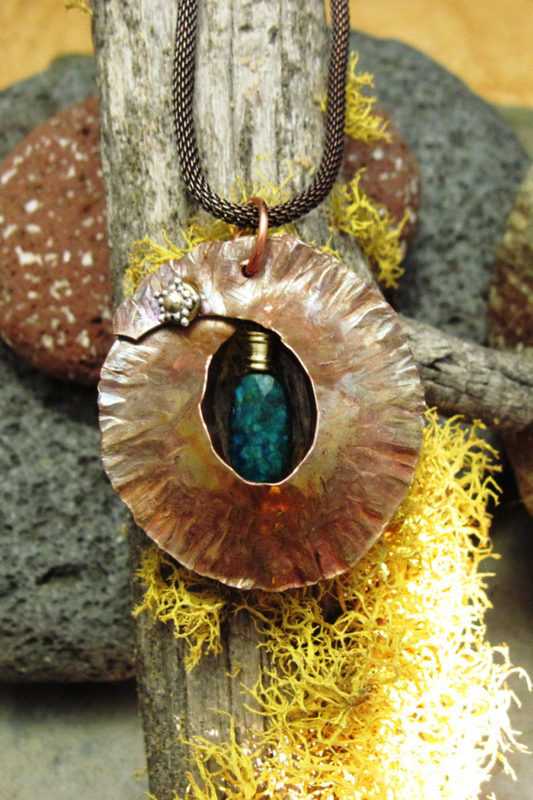 Pendant hangs from a mesh chain. You will decide which length you prefer.